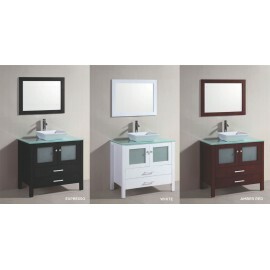 Home » Vessel Sinks » 30" to 39"
The Benton Collection plantation-inspired, cottage style sink cabinet will add casual elegance to an..
All wood vanity with white Quartz top and ceramic vessel sink and frosted glass door inlays. 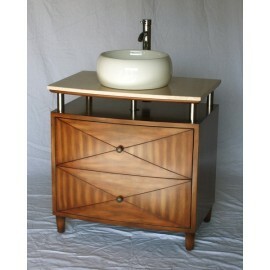 Mirr..
All wood vanity, frosted glass top and vessel sink. 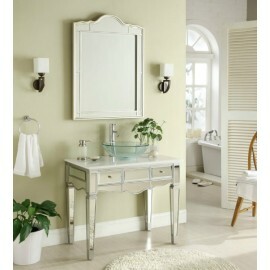 Mirror included. 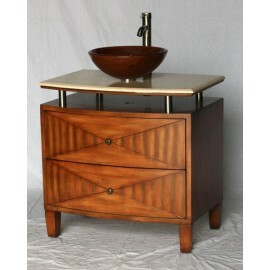 ..
Akira, this Asian-inspired bathroom sink vanity is a very unique piece of furniture. 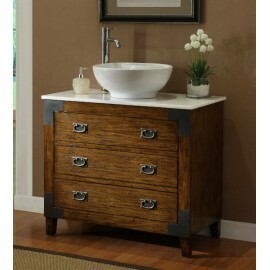 It transforms a.. 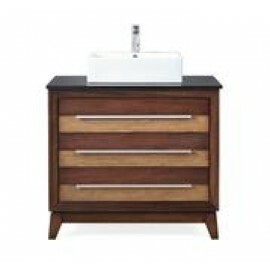 Designed for both character and functionality. 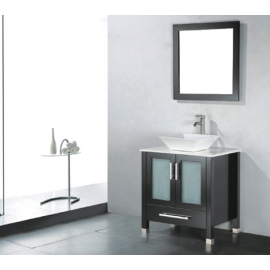 The cabinet is made with sturdy wood body frame and B..
Beveled mirror veneer with silver trim Drawers with full extension drawer glides White marble .. 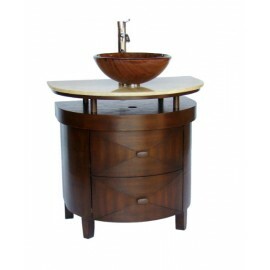 This vessel stand basks in elegance, luxury, and style. 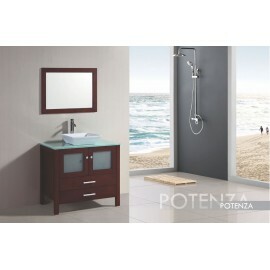 Indulge yourself in its brilliant functional.. 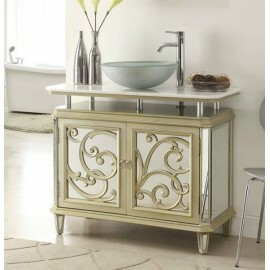 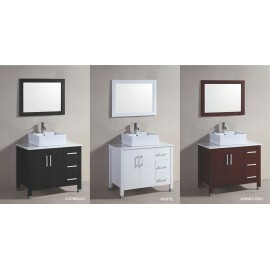 The Giovanni is a new addition to our modern/contemporary group of vanities. 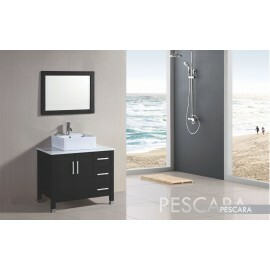 The clean and sleek des.. 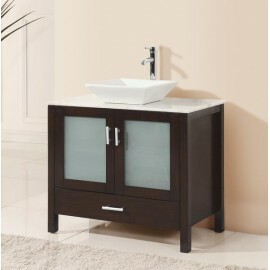 The Reflections Idella Vessel Sink Vanity chest features a smooth, finished design that showcases la..
Our Moderno sink cabinet has a sleek and beautiful design, which will complement many of today'.. 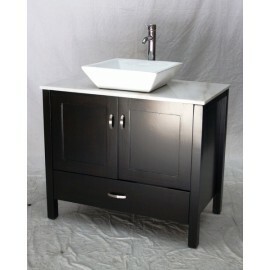 This modern style sink bathroom cabinet features a unique combination of casual function and elegant.. 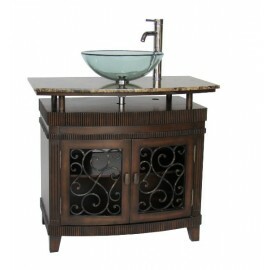 Solid wood cabinet with one ceramic basin and phoenix stone top. 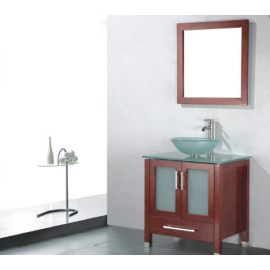 Mirror included. 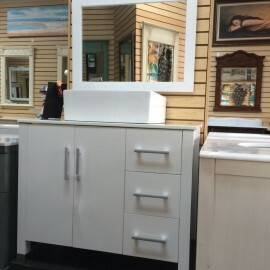 Mirror size 31".. 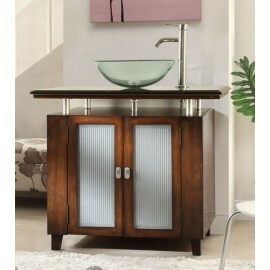 Solid wood cabinet with soft close, glass panel doors, two soft close drawers and one ceramic vessel.. 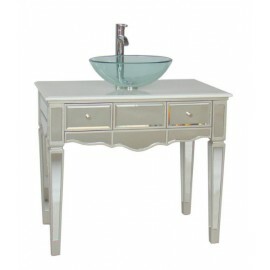 The 36" Stoughton Vanity features a unique finish and design; tapered feet, multiple wood grain vene.. 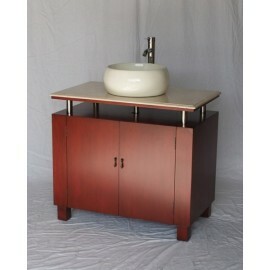 Contemporary style single sink vanity with beige color stone countertop, round orange color glass ve.. 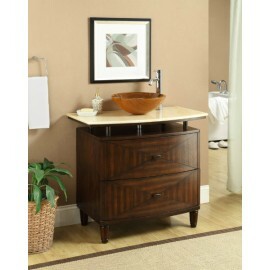 Contemporary style single sink vanity with beige color stone countertop, round bone color porcelain .. 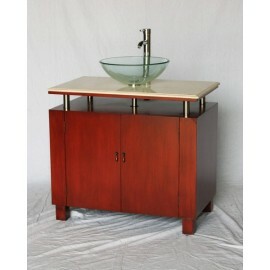 Contemporary style single sink vanity with beige color stone countertop, round clear color glass ves.. 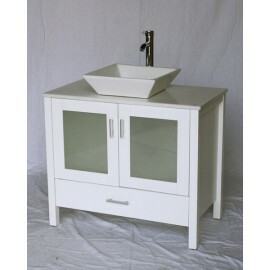 Contemporary style single sink vanity with white color stone countertop, square white color wooden c..